Waiting for the Minnesota legislature to act on broadband infrastructure for rural Minnesota is a lot like trying to update your operating system on a rural computer. It takes forever and halfway through you have to start over because of some stupid error message. One thing seems readily apparent from the last few days of Minnesota's legislative session: leadership of the GOP House and DFL Senate seem prepared to drop nearly $1 billion on concrete and rebar, but a drop in the bucket for broadband infrastructure. The House has scraped together a plan to slide $10 million toward statewide broadband efforts, while the Senate has mustered $17 million. The governor's broadband task force had recommended $200 million in spending to connect rural communities to affordable high speed internet services currently unavailable to them, but even Gov. Mark Dayton only asked for $30 million. Most experts seem to acknowledge it would take an even bigger investment by state and private sources to fully connect all Minnesotans to broadband. As I wrote recently, failure to invest in broadband at this juncture in our economic and political history would be a historically epic mistake. Some skeptics argue that physical wires aren't the future of broadband, but that seems more an excuse than anything. Cellular data and satellites can deliver internet to millions, but at great expense and not at the universal download and upload speeds necessary for modern commerce. Ask my wife and I; we deal with these issues daily with home-based business, freelance work and online teaching that actually pay our taxes and enroll our boys in a Greater Minnesota public school. Or don't, I guess. We're actually used to that. 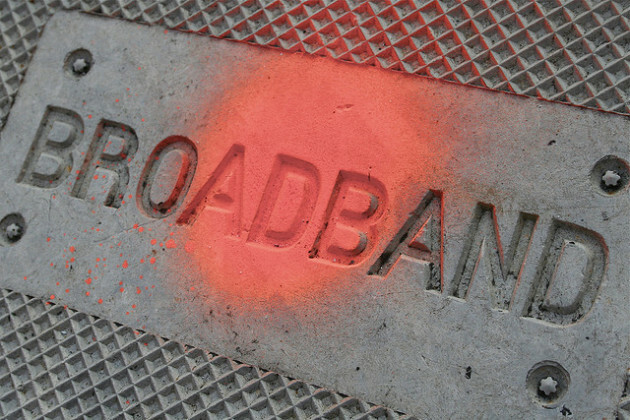 The political roadblock to rural broadband is, pure and simple, control issues. Some simply refuse to acknowledge that the people, by way of their government, have an important interest in fostering access to the modern internet. These slow actors will have lots to talk about with the politicians who opposed rural electrification 100 years ago when they get to Heaven for Dummies. Meantime, the campaign continues and I know who's going to win ... eventually. The question is how much damage will be done to the economy of rural Minnesota on the way to happy victory.